After that upsetting loss in Game 1, I knew it would be difficult for my Yanks to pull off a series win. They were close..so close…but they, and I, will have to settle for a split. Game 2 was a nice bounce-back win for the Yankees. CC Sabathia gave it his all and proved once again why I call him “C Cy.” My Hefty-Lefty allowed just 2 runs in 8 innings. The offense was clutch, with the 4 consecutive 2-out singles in the 5th inning by Swisher, Teixeira, Cano, and Posada. The Yanks went on to win it 5-2. CC should win the Cy Young if he keeps this up. Game 3 was the Yankees typical offensive explosion off Josh Beckett. And unlike the last time Beckett pitched, he only hit 1 Yankee batter: Robinson Cano. Last time, he angered me…but let’s not go there again. The Yankee offense pushed across 7 runs off Beckett. Lance Berkman finally found his stroke, going 3-4 with a run and an RBI. It was nice to see him start to hit. He was one of many Yankees who had a nice day at the dish. But perhaps the most pleasantly surprising aspect of Game 3 was the starter, spot starter, Mr. Dustin Moseley. He wooed me in his first start, but didn’t pitch too well in his second start as a Yankee. This time, he was called upon on short notice to make the start for the injured A.J. Burnett. And this time, he shined. Oh, how he shined! In the field he made 3 exceptional plays, and he pitched pretty well, too. Moseley pitched 6.1 innings, and allowed just 2 runs. What a night for this little cutie! The Yankees went on to win this one 7-2. That brings us to the finale. I was hoping that since the Yanks won 2 in a row, and since the offense wasn’t scuffling, that they would have a good day. And I hoped that Phil Hughes would be his Philthy old self. I was right about half of it, the pitching half. But as everyone knows, getting a 50 on a test isn’t going to cut it. Hughes allowed 2 runs in the 2nd inning. Maybe Jorge Posada’s throwing error had something to do with it? Maybe. But that’s not why the Yankees lost. Like I said the other day, don’t blame things on one guy – this is a team effort! And the team couldn’t hit for their life today. In the 8th, Mark Teixeira provided a spark of hope with his big fly off Daniel Bard, which made the score 2-1. So in the 9th, Curtis Granderson leads off with a strikeout. Very productive…Then Jeter walks, and I begin to get a little excited. I wanted to see some pie today…but from there, it went downhill. Nick Swisher struckout for the 2nd out, and then Tex….he put up such a tough at bat…but of course, it ended in a K. I somewhat expected this, but still – when I saw it happen, I exploded. A little background info on what was going on in my living room during the 9th: My dog was eating his dinner in the living room and he tends to make a mess; dropping kibble from his flews, spewing water when he shakes and his drool goes flying, typical dog stuff. So we put a towel under his bowl so the customary mess would be easier to clean up. 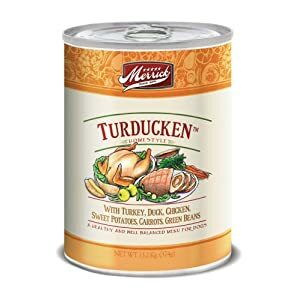 He was eating “Turducken,” which sounds gross, but actually smells quite tasty. My mother was also in the room, and I told her to get out because I thought she was a jinx (she listened). My older brother was watching the game with me. Okay, back to the game: the microsecond after Tex struckout, I lost it. I just went berserk. The throwing of my shoes at the TV is normal for me, and of course I did that. But that didn’t make me feel better: that intense hatred of losing, and that hatred for Papelbon, lingered on. In anger mode, I scanned the room for something else to violently thrust at the screen. Then I saw it: the towel. My dog finished eating, leaving a trail of Turducken embedded into the towel. Papelbon was going his little fist pump, when SPLAT! Then, still enraged, I jumped off the couch, picked up the towel, and began whipping Papelbon’s stupid face through the TV. For some reason, my brother found this funny. And he told me to write this here for the world to see. Why? Well, now that the game has been over for a little while, and my anger is slowly subsiding, I guess it is kind of funny. Kind of. He sure thought so. He’s still laughing at it. So the Yankees lost the finale 2-1, and I clearly was not thrilled. Any time the Yankees can ruin Papelbon’s day, I’m happy. But that didn’t happen today. I really wanted to win this series, but you can’t win ’em all. I’ll have to get over it. These random bursts of animosity really are not healthy. Although they are kind of funny. Now I love Joe Girardi, but sometimes I just don’t get him. And yesterday, I was beginning to think that maybe my cousin Raymond was right about Joe. He once said, “Joe Girardi is a Cro-Magnon Moron.” Well, that’s a little harsh. But seriously, I was quite confuzzled by some of the Skip’s decisions yesterday. I think he was partly the reason why they lost 3-0. I know he didn’t want to admit it, but come on: yesterday’s game was one of the most important games for the Yankees so far this year. So why then, must you alter the lineup? Why must A-Rod have a day off in the finale of the Rays series? Joe’s defense? Um, really? How about you stop thinking about the stupid milestone and focus on making the TEAM WIN! The team needed Alex, fatigued or not, to play yesterday. Thanks for sitting him, Joe. I love Ramiro Pena with all my heart, but he really is no A-Rod. A tired A-Rod is better than Ramiro Pena any day. Here is another brilliant strategic move by Girardi yesterday: sitting Brett Gardner. WHY? Brett is a lefty, and James Shields is a righty. So it’s wasn’t because of the matchup. And please don’t tell me he’s “tired.” Gardner is a young man. And he didn’t play “13 games in a row” like A-Rod, because he had a porkchop stuck in his stomach and got acid reflux and missed games because of that. SO WHY THE HECK WASN’T HE IN THE LINEUP????? Gardner has been one of the most consistent hitters on the team. I don’t understand why he wasn’t playing in a game of that importance. Then there is the Teixeira/Berkman decision. Now I don’t want to take a shot at Lance, because I know he’s new and must have been incredibly nervous. And okay, he botched 2 plays and cost 2 runs, but he made a nice diving play in the 4th to save 2 runs. But really. Joe, why would you even take that chance? Why would you let Berkman play 1st and DH Tex in a game as important as yesterday’s? I know Berkman is a 1st baseman, but nobody is as good as Mark Teixeira. If Tex is DH-ing, then for sure you are downgrading at 1st base. And lemme guess: Tex was DH-ing because he needed a rest. He couldn’t rest another day? WHY MUST ALL OF THESE GUYS REST ON THE SAME DAY WHERE THERE WAS AN EXTREMELY IMPORTANT GAME????????? I don’t get it. I don’t get it! I just don’t get it. The Yankees lost 3-0. CC Sabathia labored, but he wasn’t that bad. He allowed just 3 runs, and took the loss. Now people are all “Oh James Shields was AMAZING yesterday.” Well okay he was good. But I’m sure that if the Yankees had their regular lineup, Shields wouldn’t have been too amazing. The Yankees don’t play the pesky Rays again until September. And they play them 7 times that month. Hopefully, Joe Girardi will rest these guys BEFORE those games. Hopefully he’ll send the best guys out onto the field those days. Hopefully, he won’t do anything worthy of him being called a Cro-Magnon moron ever again. The AL cuties have been named. Now it’s time for the NL. The NL East and the NL Central. I am saving the much-anticipated NL West for last. Alrighty then, let’s begin. This cutie is putting together quite a nice season for the Phils. I was absolutely crushed when the Yankees got rid of this hottie. This cutie is for my Aunt Barbara. She lives in Florida. He is her favorite Fish. I felt so bad for him when he was hit in the head. Poor cutie. This is the cutie the Nats should build around. This cutie was a former Yankee. I never thought I would see him again. A great man, and the best ballplayer. How can you NOT love him? This little cutie is having a fabulous year for the Cards. A former Yankee southpaw, he is now a cutie on the Cubs. The Big Puma is pretty cute. He is really good. And really cute. The HOTTEST player you have never heard of! There you have it. The cuties and hotties of the NL East and NL Central. I have to say, my personal favorite is Garrett Jones. The final cutie post is the NL West. So Cat, Emma, Kaybee, Hyun Young, and everyone else, be sure you don’t miss it! The NL West is filled with cuties and hotties! I can’t wait!